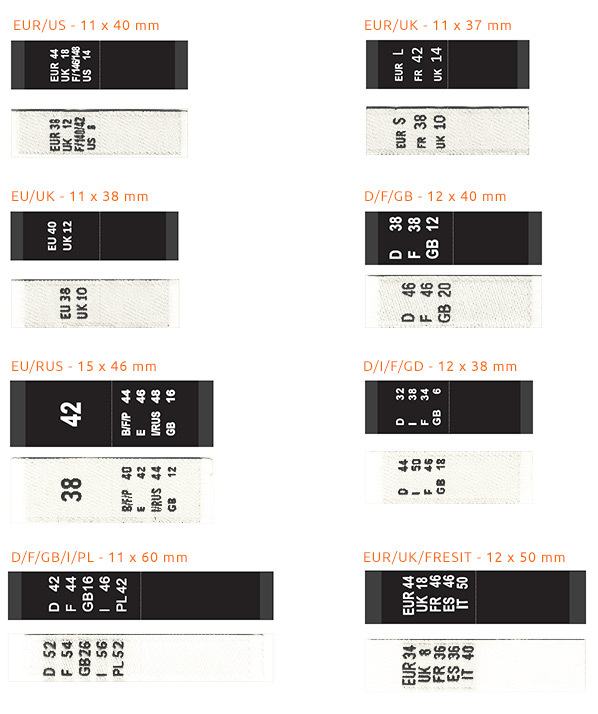 Our size tags are entirely woven in HD quality and ultrasonic cut for the edges to be as soft as possible. 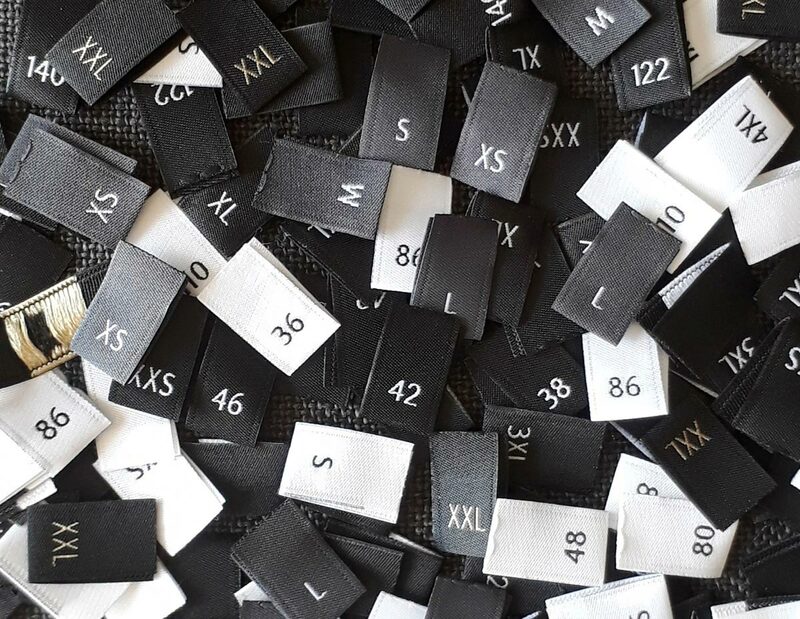 Of the classic colour combos black/white and white/black, there are always quite huge quantities on stock. Tags in the other 145 colours can be produced pretty quickly, too. 11 mm wide, 40 mm high with centre fold. In folded state, the label has a size of 11 x 20 mm. 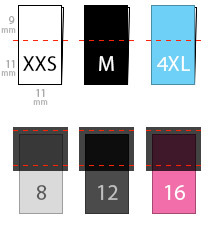 After sewing in the two 9 mm borders, there will be a visible surface of 11 x 11 mm. (in free selected Pantone colours or at quantities over 30,000 pcs. approx. 7 working days). Packaged in transparent reclosable plastic bags of 500, 1000 or 10,000 pcs. In Europe (incl. Switzerland) free of shipping costs. A tip: Remember good design principles also inside. line inside of a garment creates a good impression of the entire piece at sale. with any indications combo, cultivable from 500 pcs. per size. - Shown b/w and w/b standards permanently available on stock in all common sizes at 1 million pcs. per size, delivery within 1-2 days. at up to 10 million pcs., above on enquiry. - also available in our 145 Pantone colours from 1,000 pcs./size. 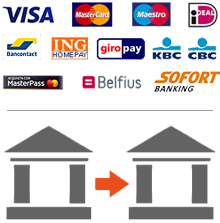 Please contact us to tell us about your needs and get a quoting.